One of the best antidotes for stress is good ol' Smokey Quartz. It is grounding stone that absorbs EMF pollution, brings positive vibrations, and teaches to leave behind what no longer serves you. It relives fears, lifts depression, brings emotional calmness, alleviates suicidal feelings, and aids in acceptance of the physical body. 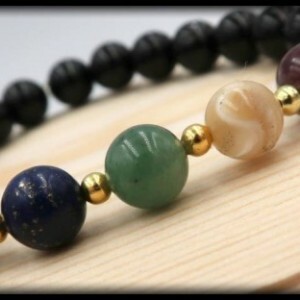 This stone cleanses the base chakras, allows passion to flow naturally, dissolves negative emotions, dissolves contradictions, and promotes concentration. Known to be excellent for treating radiation-related illness or chemotherapy, and providing pain relief. 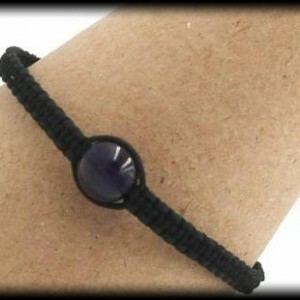 This simple yet sophisticated item is made with 8mm beads of Smokey Quartz. SIZING INFORMATION Please measure your wrist with a measuring tape to ensure the most accurate measurement. If you do not have a measuring tape, you can also use a string by wrapping it around your wrist and then cutting the piece of string. After you have your cut string, place it alongside a ruler and write down your measurement. To ensure a perfect fit, please had 0.5 inch to your wrist measurement, if you want a little room please add .75 inches to your wrist measurement.